Why buy them when you can make your own graham crackers? 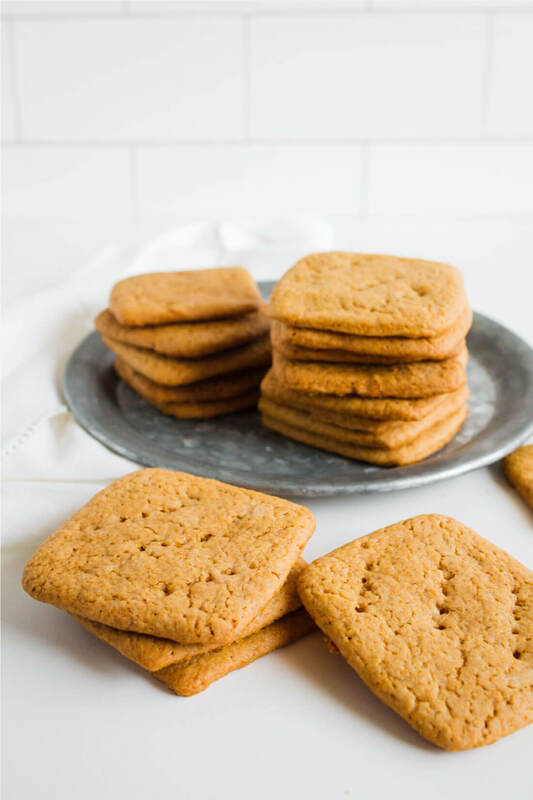 Try out this graham cracker recipe – you’ll love it! I don’t know about you, but boxed graham crackers just don’t taste like they used to. They are not as flaky as I remember as a kid and, quite frankly, bland. I started on a quest to make the best s’mores for summer and realized that the graham cracker needed to be perfected. 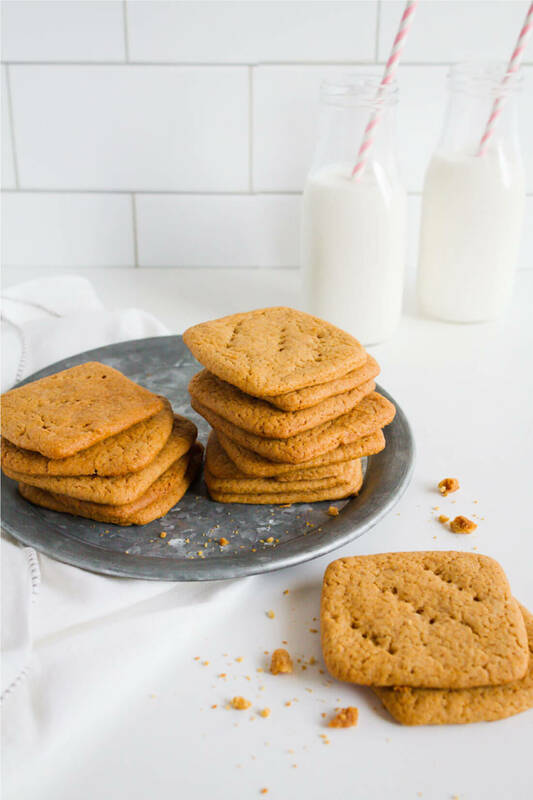 What I found is that graham crackers are extremely easy to make and use ingredients that you probably already have on hand! Don’t let the recipe scare you – it’s so simple to make. You can have your kids help you make them. Package them up to give to a neighbor or friend or make the ultimate s’mores! You can use this recipe to make s’mores in a jar too. 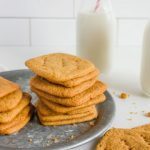 This Homemade Graham Crackers recipe won’t disappoint - they’re delicious, flaky and so much better than store-bought! In the bowl of an electric mixer fitted with the paddle attachment combine flour, brown sugar, baking soda, and salt. Mix on low to incorporate. Add cold, cubed butter and mix on low until the mixture is the consistency of a coarse meal. In a small bowl, whisk together the honey, milk, and vanilla extract. Add to the flour mixture and mix on low until the dough comes together. Divide in half and wrap in plastic. Chill until firm, about 2 hours in the fridge or 20 minutes in the freezer. Once chilled, turn the dough out onto a lightly floured work surface and roll each dough sheet into a long rectangle about 15"x10" and 1/8" thick. TIP: roll out onto a Silpat or parchment paper so that transferring to the baking sheet will be easier. Using a knife or fluted pastry wheel, cut the dough rectangle into four columns and three rows. Poke holes into crackers using a fork or toothpick. The crackers may not all be the same size, however if you want a more consistent and uniform look use a square scalloped cookie cutter. OPTIONAL: in a small bowl, combine 3 tablespoons of sugar and 1 teaspoon of cinnamon. Sprinkle on top before baking. Bake for 15-20 minutes, until slightly browned. Allow to cool for 10 minutes. Adapted from Nancy Silverton's Pastries from the La Brea Bakery Cookbook. I hope you’ll give them a try. You won’t be disappointed! We won’t eat enough to go through a whole batch in a couple of days. Does the dough freeze well? How long is it good for in the fridge/freezer? Thanks! Hello! Thank you for the recipe, I hope to try it out soon. I just wanted to let you know that the pictures are missing from your post. My three year old son just helped me make these, they were awesome! I ended up having to half the recipe because I ran out of flour, next time I will definitely make sure I have enough flour to make a full batch! Tasted great and easy to make! Thank you for the recipe! These are awesome! I’ve been making my own marshmallows for a while now, decided it was time to do my own graham crackers. Perfection! Oh my goodness Brittany, this looks and sounds SO good! I am adding this to my “i have to make this” list! Thanks so much for sharing such a yummy recipe! Never knew you could make these homemade. Now when a recipe calls for graham crackers and I don’t have any, instead of skipping the recipe I can whip up my own. I am sure they are a lot better than store bought. May never buy store bought again. Can’t wait to try!!!! Featuring these tonight Mique! Thanks so much for sharing! My roommate loves graham crackers! Thanks so much for the posting! I will be making them for her soon! Seriously, she eats them every single day! I can hardly wait! These are great Mique! Pinned! I never considered making graham crackers…until now. They look so good. Great tip too! These would be great with homemade marshmallows in s’mores! Can’t wait to try these . Headed to the kitchen now! I’ve been wanting to make graham crackers for a while now. Thank for sharing! Wow! I never knew they were so easy to make! I plan on trying these very soon. Thanks so much for sharing. I haven’t thought about graham crackers for a long time, but now I am seriously craving one! Great post. Found you through Sumo’s Market Yourself Monday Hop. I came over from Ruthie’s. I am pinning these. 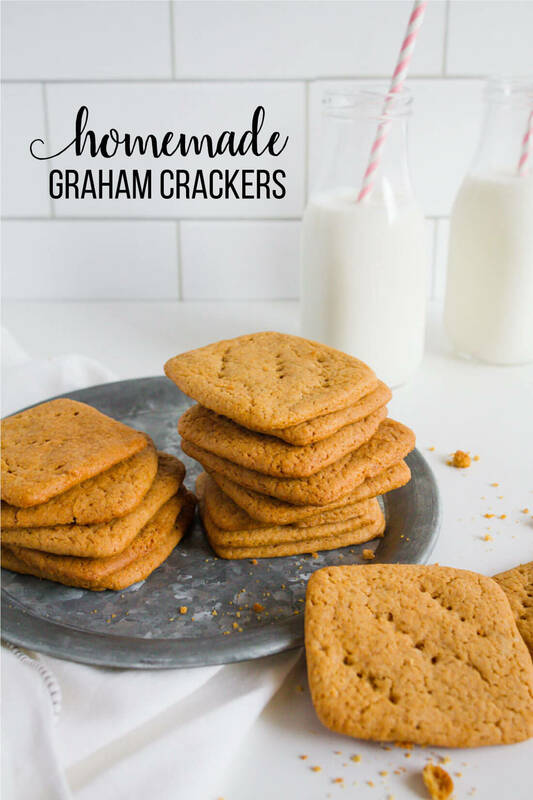 I love graham crackers and they are good to have on hand when you are in need of a pie crust. Crackers you buy are convenient, but have a shelf-life of nuclear waste. What ingredient do they use to make them last that long? These are looking absolutely wonderful, and I’d loooooooove to try making them my self. thank you for sharing! !